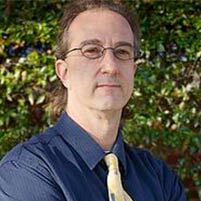 Dr. Michael A. Pasternack, D.C. graduated with honors from Life Chiropractic College in 1991. In the time since he has gained extensive experience in providing outstanding chiropractic care at Apple Wellness Center. Dr. Michael A. Pasternack’s goal is to help as many people as possible, and he is particularly concerned with helping people manage chronic conditions such as cardiovascular disease and diabetes. His specialty is chiropractic care, but he also provides nutritional guidance as well as lifestyle counseling to his patients. Family life is important to Dr. Pasternack, and he enjoys helping families improve their health collectively. He and his wife Elizabeth — along with their three children, Eliana, Alex, and Paige — enjoy a healthy and active lifestyle, so he fully understands the challenges families face as well as the many benefits of a healthy approach to family life. Dr. Pasternack uses the experience and knowledge he has gained over the past two decades to provide his patients, and their families, with excellent care at Apple Wellness Center.